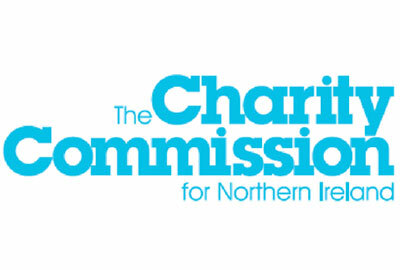 The Charity Commission for Northern Ireland has selected a pilot group of 20 charities to test its registration process before it goes live later this year. The commission was established by the Charities Act 2008, which set out the registration of charities as a key task. The regulator said in its annual report last year that it was frustrated that charity registration had not yet begun, and said that making progress on the registration of between 7,000 and 10,000 charities was its key objective for the 2012/13 financial year. The registration process was delayed after lawyers raised concerns that the wording of the act created public benefit criteria that were a mix of the Scottish law and the definition used in England and Wales, meaning it could be open to legal challenge. The England and Wales definition has since been adopted in Northern Ireland. Last month, the Charities (2008 Act) (Commencement No. 4) Order (Northern Ireland) 2013 came into effect, including provisions to allow the commission to begin compulsory registration of all charities operating in Northern Ireland later this year. Aubrey McCrory, head of corporate services and compliance at the Charity Commission for Northern Ireland, said the 20 organisations had been selected by the regulator to be representative of charities in Northern Ireland. "Our online system has already undergone comprehensive testing, but this pilot by users will allow us to resolve any unforeseen issues with the registration system before full registration begins," he said. The umbrella body the Northern Ireland Council for Voluntary Action said in a statement on its website this week that it was one of the pilot charities. McCrory said a "deemed list" of charities that had been granted charitable tax status before February 2011 was available on the commission’s website and any charities that thought they should be on it but were not should contact the commission or the charities branch of HM Revenue & Customs. A statement from Nicva said that once the pilot process had concluded, the commission would call on charities on the deemed list to register. "If you are currently recognised as a charity for tax purposes, you should make sure that you are on this list," it said. "We will be able to give you practical advice and guidance after we go through the registration process." Denise Copeland, governance and charity advice manager at Nicva, said the umbrella body had attended a commission seminar on the registration process and would be given a password with which it could register in the next few weeks. "We are very keen that the process will be as straightforward as possible for all organisations, regardless of capacity," she said.